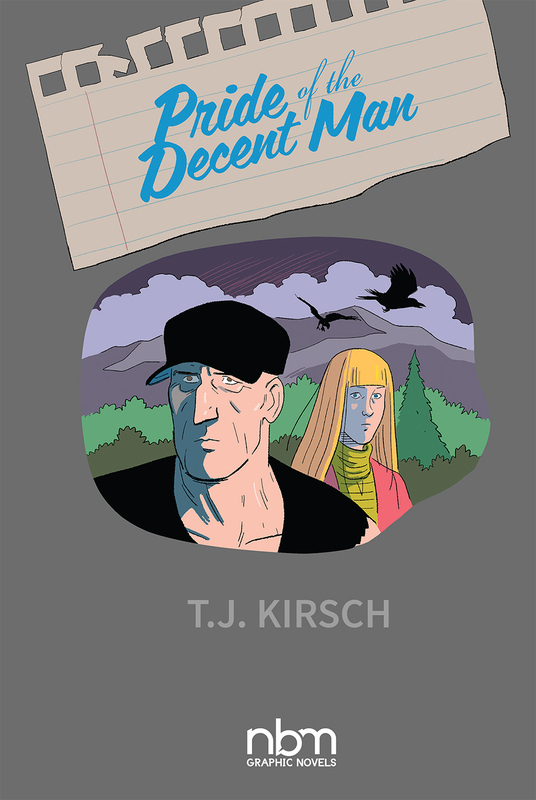 T.J. Kirsch was tabling at SPX for his new book, Pride Of The Decent Man, which is getting some very nice reviews. I had actually made an appointment to interview French NBM cartoonist Anais Depommier (which will appear later this week after I transcribe it), but Mr. Kirsch kindly agreed to do an interview by mail. 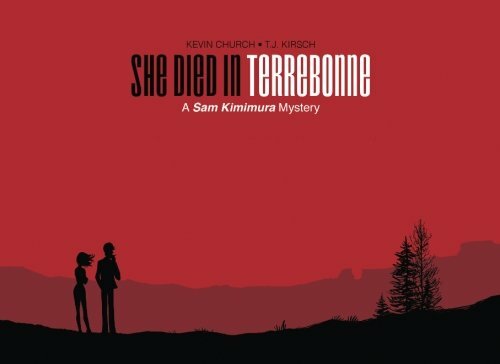 I'm a writer and illustrator of comics, webcomics, and graphic novels - or any combination of those three. I've illustrated comics for Oni Press, Archie, Image, NBM and others. For all of my recent books I've drawn and colored digitally using a Wacom tablet. I was born in 1981 in Albany, NY. I completed a year of art school at Savannah College Of Art And Design, and then finished my training at The Kubert School, graduating in 2005. My big ones are Dan Clowes, Chester Brown, and Gilbert Hernandez. I wish I would've had more confidence to start writing my own projects earlier. But along the way I've worked with many very talented writers and learned so much from each of them. 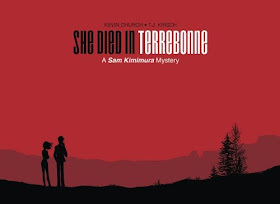 I co-created and illustrated a webcomic-turned-graphic novel called She Died In Terrebonne, written by Kevin Church. 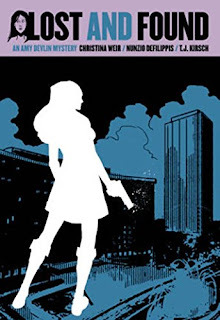 It's been highly acclaimed by critics and often cited as one of the best Noir comics ever published. 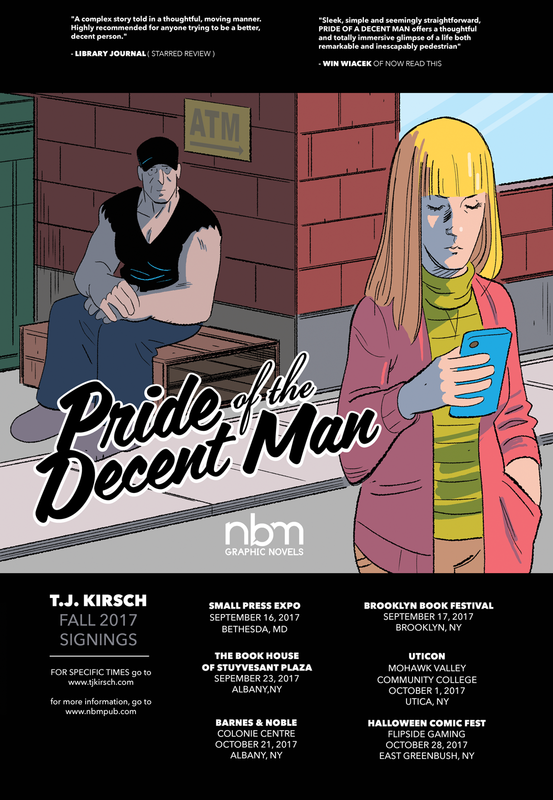 The comics I'm most proud of are all the minicomics that were eventually collected in Teej Comix, and the new book, Pride Of The Decent Man. I made them all in a similar process, using loose outlines and giving myself some room to change things on the page as I went along. 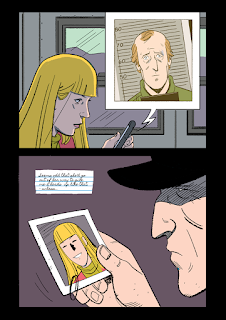 Some things work better as comics if you stay flexible with the final product rather than sticking with a set script. How did your new book end up with NBM? Terry Nantier, the founder and publisher of NBM Graphic Novels, saw something he liked in my initial proposal submission, and made me an offer quite early in the process. I thought it was a good fit for their catalog, and seeing it finished and in book form, I feel that even more. There's a sensibility to all their books of trying to elevate the art form of comics, while also bringing in a general crossover audience. I like graphic novels I can hand to any random book or art lover on the street, and have them get something out of it - and maybe seek out other comics after that. 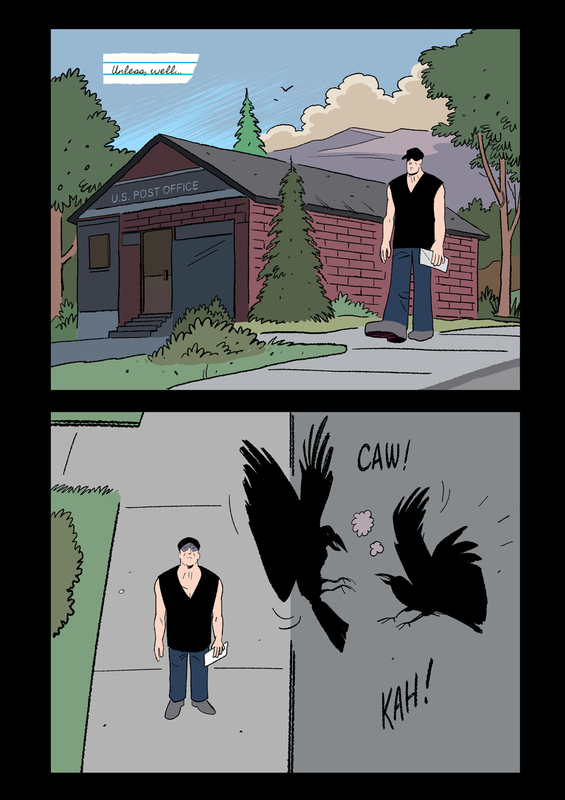 I think many of the NBM graphic novels have that quality. I'd like to do more original graphic novels as well as shorter comics. Right now I'm in the very early stages of a nonfiction graphic novel project. As an artist, my recent solution to getting out of a rut is to redraw very old work of mine. It's great for self confidence, in that you see your improvement since the earlier version of the piece. As far as writer's block - I haven't been in this situation much yet, having worked with writers more than not - but I try to take breaks and let ideas come to me when I'm relaxed and daydreaming. Hopefully it will be more innovative comics being made, and respect for the work by the general public, but who knows? How was your SPX experience? SPX was great, as always. It's a very inspiring atmosphere. I've been coming since 2008 and it's been my favorite show ever since - no contest. I've met several of my cartooning heroes, and made some great friends I see every time I come back. 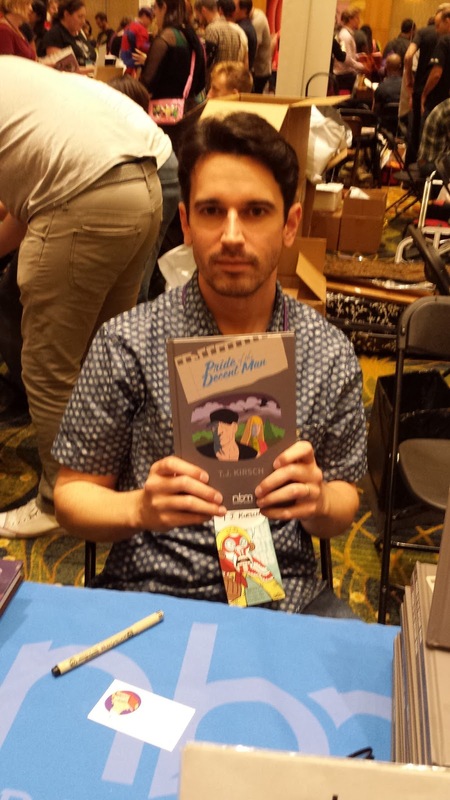 When you've been at SPX previously, have you been selling self-published books? My first time exhibiting I was with Oni Press, debuting a comic called Uncle Slam Fights Back. Most other times I shared space with Jonathan Baylis, who writes an autobiographical comic series called So Buttons. It's in the same vein as Harvey Pekar's work - only a bit more upbeat. I've been contributing art to that series since the first issue ten years ago. 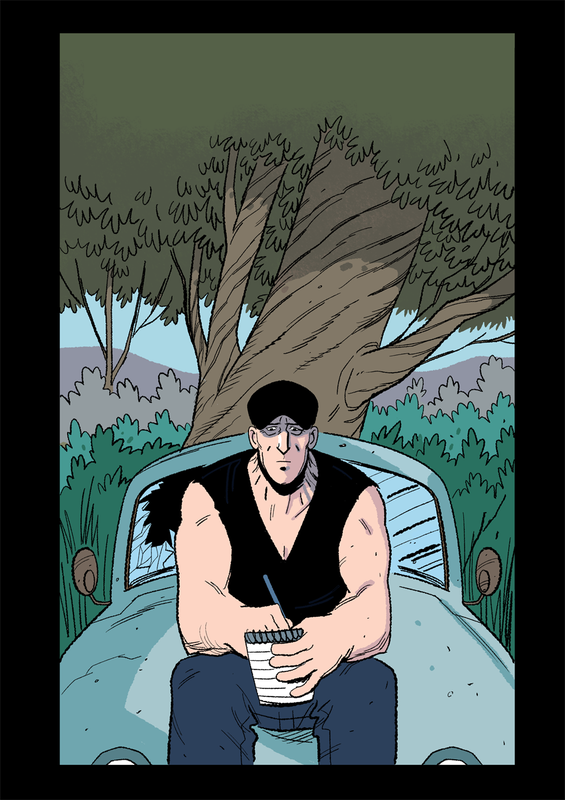 But yes, sometimes I'll be showcasing self published minis, or other work I'd done for Oni Press and others. Is the experience different when at a table of a mid-level publisher? It's always easier, and far less stressful, when you can just show up and start signing books, rather than worrying about shipping your own or coordinating everything that goes along with exhibiting. If you've been coming since 2008, any thoughts about how it's grown and changed? I can say it's grown every year I've gone. More lines out the door for star cartoonists, more congestion in the aisle, but also the exhibitors all make amazing work and that never changes. My favorite things about DC are the closeness to SPX ( of course ), the fast, efficient and clean Metro system, and the fact that I have family there. It gets wayyyyy too hot in the summer! Maybe I just need to visit closer to the colder months. What monument or museum do you like? I like them all, but the Lincoln Memorial is one I always need to see. The Holocaust Museum is something everyone needs to see. There's a small place in Bethesda called the Lilit Cafe that has the most amazing gluten free crabcakes. I didn't have enough time this year to go since I was only around for a day, but that always a necessary stop. There's also Ella's Wood-Fired Pizza across from the National Portrait Gallery that has great gluten free pizza. I've got Celiac disease so these stand out for me. You can find out more about me and my work at www.tjkirsch.com - and you'll find links to all my various social media, info about my books and more.